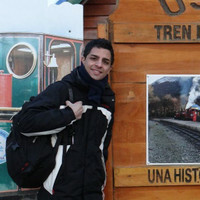 This is the complete Argentina and Patagonia experience! Your travels will bring you to Iguazu (one of the 7 Wonders of the Natural World), Bariloche with its beautiful landscapes, El Calafate and the incredible Perito Moreno Glacier. You'll also see Ushuaia (the southernmost city in the world) and of course get to explore Buenos Aires. Your trip will be filled with unique experiences, such as a Gaucho show at a ranch, exploring a petrified forest, and a catamaran boat trip around a delta. See the extremes of Argentina's landscape, from the Iguazu waterfalls to the mountains, and the glaciers in Patagonia. Arrive at Ezeiza Airport and then enjoy a private transfer to your hotel. Rest up and get ready to start your adventure! If you are interested, you can customize your trip by booking an optional dinner Tango show for the evening. Make the most of your time in Buenos Aires, with a guided tour through its passions, history, and culture. Your tour will start with a trip down one of the main streets, Avenida 9 de Julio. Here you will see the Teatro Colon and the Obelisco, a monument which holds important symbolic value for the city. Then stop at the striking Plaza de Mayo, the city’s historical, political and cultural epicenter. 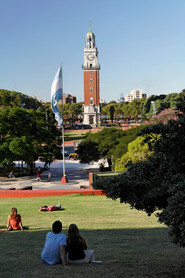 You'll also explore San Telmo old town and the stunning Parque Lezama. Next stop in La Boca, a vibrant barrio which is home to the Boca Juniors football stadium and the heart of the Pasión Argentina: football! Visit Caminito, Puerto Madero, and the most exclusive and greenest part of the city: Palermo. See the chic neighborhood of La Recoleta and then end your tour in downtown. The rest of the day is yours to enjoy as you wish. You'll be picked up from your hotel in a comfortable, air-conditioned bus and then you’ll then travel along the Avenida Costanera, parallel to the Río de la Plata and one of the prime places for incredible views of the river. Your first stop will be in the city of San Isidro. Here, your guides will take you round the beautiful Catedral de San Isidro. Then you can hop back on the bus and continue on to Tigre. There, you'll take a relaxing 40 minutes catamaran ride around the delta where you can see little islands that formed as the rivers and streams ran around each other. Take in the lifestyle here, it's a bit different! Boats, rafts, river taxis, and even shops that been adapted for life on the water. You'll pass houses on stilts and the house-turned-museum of the former president, Sarmiento. Afterward, head back to Buenos Aires where you can enjoy the rest of the day at your leisure. Today you will be flying to Iguazu. You'll enjoy transfers to and from the airports. Today is dedicated to a visit of the Brazillian side of the Iguazu National Park. Setting off in the morning will ensure you get the best position of the sun over the falls for some spectacular photos! When you arrive, your trip starts with a drive to the main paths which stretch over 1,200 m of the park and sit above the Iguazu river. From there, you’ll be able to get a panoramic view of the Argentine side of the falls: what a perfect place to take some photos! Continuing along this route, you’ll see the Cañón del Río Iguazú, Salto Rivadavia, Tres Mosqueteros and many other sights. Towards the end of the route, you’ll also see the lower part of the river and the impressive Garganta del Diablo (Devil’s Gorge). The walk ends beside Salto Floriano. Then you can take the stairs, or take an elevator straight down to the car park or up to shops and restaurants. Head back to your hotel in the evening. Wandering through this subtropical forest area, you’ll see an incredible variety of ferns, orchids, begonias, birds, and butterflies, as well as the diverse native species of flora and fauna. From the falls station, you can take several trips. Why not make it an extra-special experience by booking additional options such as a Devil’s Gorge excursion or a nautical adventure? It's time to fly to Bariloche! 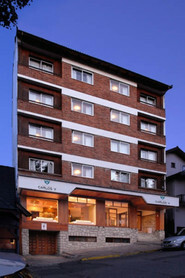 Naturally, you'll enjoy transfers between your hotel to the airport, and then on arrival at Bariloche to your hotel. Start your Bariloche Circuito Chico tour with a pick up from your hotel and then head over to Playa Bonita. Situated just 8 km away from the city, you’ll be able to see the gorgeous Huemul Island from this unique location. 10 km further on, you’ll get to Cerro Campanario, where you’ll be able to hop on a chairlift and reach an altitude of 1050 m. From the summit, you’ll have a great sight: the Nahuel Huapi and Perito Moreno lakes, the El Trébol lagoon, the San Pedro and Llao Llao peninsulas, Victoria island and the Oo, López, Goye, Catedral and Bariloche hills. Later, you'll also see the Llao Llao Hotel and Puerto Pañuelo, the port from which the boats to Victoria Island and Bosque de Arrayanes depart. Finally, cross the narrow Lago Moreno bridge, passing the El Trébol lagoon and Avenida Busllo, from where you can start your return trip back to Bariloche. In the morning, you'll head to Puerto Pañuelo. From here, you can take a boat trip through the clear waters of the Nahuel Huapi lake, surrounded by snowy peaks and lush forests, to Victoria Island. As you walk through pine and birch forests, you’ll learn about the history of the island as well as the stories and legends which haunt it. An animal reserve, a park ranger school, and a cozy inn all add to the unique atmosphere of the island. After some more sailing, you'll arrive at the Quetrihue peninsula, where you'll find the famous Bosque de Arrayanes. Known worldwide for its size, density, and growth, the woodland is either covered in little white myrtle flowers or by snow. it truly is an enchanted forest! As the sun begins to set over the Andes, you'll make our way back to the port, ready to start the journey back to your hotel. Your Cerro Cathedral tour begins in Avenida Busllo, situated to the west of Bariloche. After passing Playa Bonita, the road bends to the left towards Virgen de la Nieves, and then right again to the Villa del Catedral at the foot of a large hill. By the time you arrive at Cerro Cathedral, you’ll be in the biggest mountain activity center in South America, chosen to be Argentina’s skiing hub over 60 years ago. Main attractions to see here include the Virgen de la Nieves, Villa del Catedral, and Cerro Cathedral. You're heading to El Calfate today. You'll enjoy transfers between your hotel to the airport, and then arrive at El Calfate to your hotel. 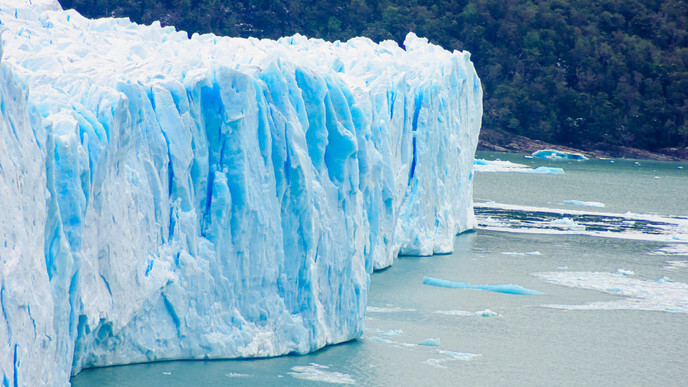 Accompanied by a professional guide, you'll head over to Los Glaciares National Park. Traveling along Route 11, you'll see some fantastic views as you drive along the edge of Argenno lake towards Brazo Rico. When you reach the park, head along to the Curva de los Suspiros, where you'll get off the bus to see the spectacular Perito Moreno Glacier for the first time. How will it feel to gaze at this sublime landscape? Further on, you’ll make another stop in Muelle Bajo las Sombras where you’ll have the chance to hop on a boat to get a bit closer to the southern wall of the glacier. Then head on to the footbridges at the front wall, from where you can get even more incredible views of Perito Moreno. The viewpoints, all at different heights, give you the perfect opportunity to see all the best sides of the glacier. You’ll then have some free time to watch the ice landslides. During your journey, you will see the Lago Argenno, Santa Cruz River, the Rio La Leona and a panoramic view of the majestic Andes Mountains including Mount Fitz Roy. Continue along the south bank of Lake Viedma to reach the slopes of Cerro Los Hornos (Estancia Santa Teresita.) Here you get a first look at the huge depression in the ground where you'll find petrified trees. Take an exploratory walk among this paleontological site for about three hours, including time for lunch. Return to Calafate on the same route, with a stop at La Leona. You will be flying to Ushuaia today. You'll enjoy transfers between your hotel to the airport, and then on arrival at Ushuaia to your hotel. Aer being picked up at your hotel in Ushuaia, your guide will take you to the Tierra del Fuego National Park. First, you will go to the 'End of the World' Train Station to start your journey. Go through the Cañon del Toro and cross the Pipo River on Puente Quemado, then stop at La Macarena Waterfall station to see incredible views, after that, the train enters the National Park where you will discover and delve into the landscape of a Sub-antarctic forest located on the shores of the Beagle Channel. You will get off the train at Cruce de Ensenada, where you'll visit the bay. From there you will go to Roca lake and after a short break in the "Casita del Bosque", we continue our walk to stop at one of the "beaver dams". Finish by visiting the park in Lapataia. Not only is the end of National Route 3, but it is also the union of the South and West boundaries. After the visit, you will be taken back to your hotel. Begin your boat ride by departing from the tourist port of Ushuaia, traveling to the center of the Beagle Channel. As we sail away, enjoy the spectacular view of the coast of Ushuaia, and the mountains Olivia and Cinco Hermanos. You'll sail southwest, approaching the Isla de los Lobos, where you can see sea lions in their habitat. Then, continue to the island of the birds, home to Magellanic and Imperial cormorants, and a great place to spot other marine birds. The furthest point of the trip is the Les Eclaireurs Lighthouse, in the archipelago of the same name. It is also possible to observe part of the Monte Cervantes, a ship that was shipwrecked here in 1930. Crossing the Beagle Channel you will see Gable Island and Puerto Williams Naval Base (located on Navarino Island, Republic of Chile), and later on, you might see the colony of Magellanic penguins before returning to port! It's time to fly back to Buenos Aires — but don't worry, your adventure's not over yet! As always, you'll enjoy full transfers to get to the airport and to your Buenos Aires hotel. It's time for a true highlight: Santa Susana Ranch. Head out of the city towards Los Cardales with your guides, enjoying striking views as you make your way to the Argentine ranch. Upon arrival, you’ll be welcomed with some traditional meat empanadas, Argentinian wine, and soft drinks. At the appropriate time, you'll head to the airport to begin your return trip.